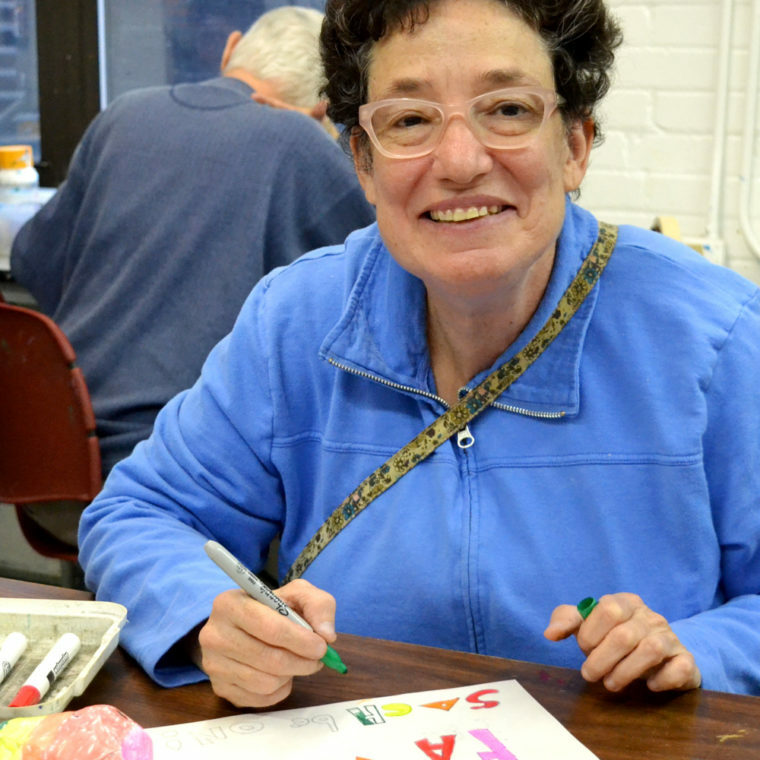 Debra Belsky was born in 1961 and has been working at Gateway Arts since 2007. Belsky makes colorful, introspective work on themes dealing with her life and interests; often these are infused with her unique sense of humor and order. Her deliberate choice of materials lends a certain playfulness to her work. Additionally, dark humor allows the viewer to realize the depth of the artist’s anxieties. She illustrates her inner turmoil and desires in a primitive form of portraiture. Brightly colored backgrounds bring ones attention to the emotionally charged characters. Belsky often refers to these characters as ‘me’, making it apparent that the works are self-portraits. Belsky has exhibited her work in Massachusetts at the Gateway Gallery, Drive- by Projects, the Fuller Craft Museum, Barneys NY retail outlet and the Mall at Chestnut Hill.